Thanks for joining me this time on Go Forth And Game. 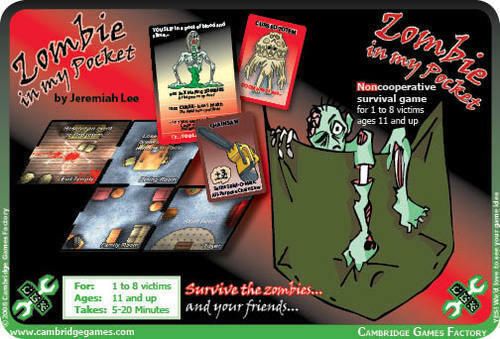 This time I’m interviewing Jeremiah Lee, the designer of the hit Zombie In My Pocket and his newest Zombie House Blitz. Tom: So Jeremiah, tell us about yourself. Jeremiah: I’m a full-time father of four young children (8/7/5/3 years old), I live in the Ypsilanti, MI (in south-east Michigan). I’ve been seriously involved in boardgames since 2007, and played lots of different games before that. I played D&D as a kid, and a bunch of solo boardgames because I didn’t have many friends nearby that were interested. Tom: Full time father of four kids. I’m impressed. How do you support your gaming habit? Jeremiah: My full-time gig as a dad doesn’t pay very well, so I mostly just don’t spend much money on games. I get a lot of games in trade, through the math-trades on BGG, and really, I’m very happy with the games I already have. I want to make my collection a perfect and small collection. I only want things in my space that I love. I’m working towards that goal. Tom: Full time dad is a huge job. Bravo! to your wife for working so you can stay home to raise your children. I’m with you as to holding on tight to my gaming dollars. The game has to be really good for me to spend my money on it. I recently purchased a dud in an auction because I didn’t pay enough attention to what I was doing. Hate that. What was the gateway drug? What game got all this started? Jeremiah: The first and most important game in my gaming history is Diplomacy. I love the game. I played it in college, and was hooked. I played Diplomacy nearly exclusively for about a decade, though Settlers of Catan was mixed in there. The game that brought me to the designer game scene was Wolfgang Kramer’s Detroit/Cleveland Grand Prix. I played it at a convention, looked it up on the internet afterwards, found BoardgameGeek, and was hooked. Tom: Diplomacy! As a gateway! Wow, that’s interesting. You’ve designed a couple of games. 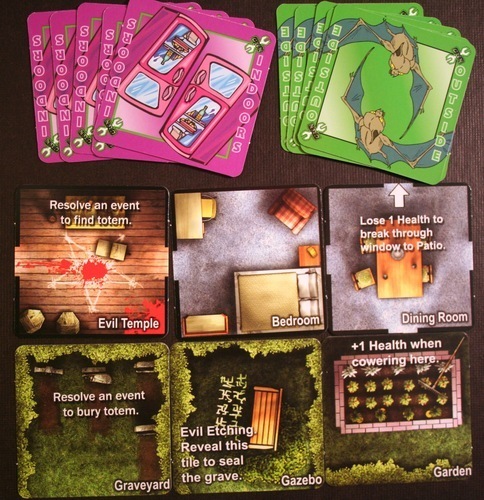 Zombie In My Pocket is one of the most successful print and play games on BGG. 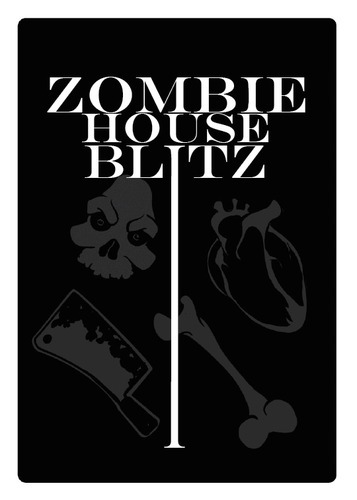 And you have another game on Kickstarter right now – Zombie House Blitz. I’m detecting a theme here. Let’s talk about ZIMP first. Where did you get the idea? Jeremiah: I got the idea for ZimP by playing Betrayal at House on the Hill, and Pocket Civ. Betrayal is a big production Avalon Hill game, and Pocket Civ is a print and play game. I loved them both, and wanted to mix them together to make something of my own. I had recently been watching Romero’s “Dead” movies, and thought I’d have a zombie theme. I wasn’t involved in the boardgame world very much at that point, and didn’t know how popular zombie themes already were. Tom: What was the most difficult part of the design process for ZIMP? What challenges did you face? Jeremiah: ZimP actually came really easily. I had the idea, I threw some math at the paper to balance the difficulty level, and everything worked. There were only a few weeks of tweaking the rules, and I feel really lucky it worked out as well as it did. There was a lot more work put into the published 1-8 player version of the game, and the biggest difficulty was making sure that it was worthwhile for players to work together at first, but advantageous to become selfish as the game went on. Tom: That’s a really neat idea, shift in focus part way through the game. And is all about the theme. Now let’s talk about Zombie House Blitz. Talk about the development of it. Jeremiah: I started making what would become Zombie House Blitz about two years ago, when I was being introduced to a bunch of speed games at the same time. When I played the classic game Dutch Blitz, I knew I could make something special with this as the inspiration. I wanted to make an accessible, low-cost, speed card game that could be played with families or gamers, and I love the zombie theme, so that was a perfect fit with me. Zombie House Blitz is under $20, with shipping included, so I was able to hit my goals for the game. Tom: I recognized the Dutch Blitz connection when I read about the game play. I appreciate that you are keeping the price point low too. How’s the Kickstarter campaign doing? Talk a bit about it. Jeremiah: It’s going really well, we’re at over 40% of our funding with 20 days left as I write this, and we’re getting new pledges every day. I feel really confident about our chances to get this game funded and produced, but we still have a long way to go. This is the first project I’ve self-published (though I’ve had a game published by Cambridge Games Factory, and I’ve worked with other publishers on other games), so I’m really excited about it, and excited to have so many people stand up and help support the project. Tom: Do you have a favorite design element? Jeremiah: My favorite part of gaming is the social aspect. I love “playing the people, not the game” as I often say. I want the game to happen in a space that exists more in between the players than between the players and the game. Zombie House Blitz is a race, and Zombie in my Pocket is a game about limited trust relationships, both are about your friends playing the game with you. Tom: Speaking of games with a high social aspect you should try Viva Java. It’s very social with up to 8 players. It has tons of strategy and plays smoothly. Pretty unique game. What inspires you? Jeremiah: I’m inspired by other games, and by other designers. I love thinking about ways to create new interactions between players. A game that gets me excited about the way players are interacting excites me. Tom: Why are you designing games? Jeremiah: I’m not sure. It’s what my brain does, without asking. Things pop into my head, and then I have to give them some time to develop, or they just sit there and ask, “when’s it gonna be my turn?” That, and I love seeing other people have fun playing a game I’ve designed. That’s a thrill. Tom: I got my first taste of that feeling a couple of weeks ago. I premiered Duck Blind at UnpubMini-AtomicEmpire. Wow it is so cool seeing people liking your game. You’re pretty active on Twitter and in the design community. How helpful is that to you? Is community important to you? Jeremiah: There are some really great designers working on games that have built up this great network of designers, and I’m really excited and proud to be a part of it. People like Chevee Dodd, Grant Rodiek, Alan Gerding, and Brett Myers (just to name a very few) keep me interested in their designs, while helping me remember to give some focus-time to mine as well. Community is hugely important to me. I wouldn’t still be doing this, pushing to make more of my own designs come to life, without the community. Tom: I ‘know’ Chevee and Grant but don’t recognize the others. I need to look them up. This community we have is awesome. People like those above and Daniel Solis, John Moller. Everyone is so supportive of each other. Theme or Mechanic. Which comes first for you? 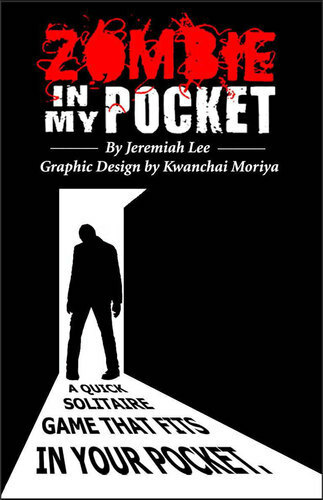 Jeremiah: Though I tend to design theme-first, both of my published games have been mechanism-first games. When I do theme-first (and I do, a lot) I will often get too involved, and make things that are just too big, too cumbersome. Tom: Standard GFG questions: What are the aspects of a good player? Jeremiah: There are so many different games, it’s hard to say what makes a good player. I’m going to step away from trying to figure out what makes a player good overall, and focus on what makes someone a good player in the kinds of games I like. I like players to be funny, to be there to experience the game, and try to win, but not be focused on winning. Be at the table to have a good time with me and our friends. 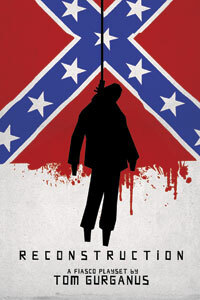 Tom: Is one play enough for a review? Jeremiah: It is, especially if you’re in the market for “first impression” reviews. Some games give away most of what they have in the first game, some don’t. Hopefully we can all tell which are which. 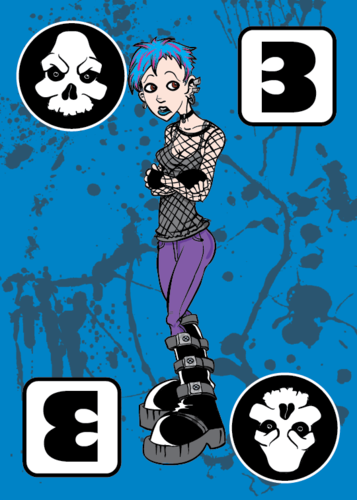 Tom: Microgames like Love Letter seem to be the hot new topic. Do you have one on the design board? What is your take on this? Fad or legit? Have you played any? Jeremiah: I’m not currently designing a microgame, though many of the games I have designed might fit that description. ZimP (solo) is a pretty micro game. I think it’s a legitimate way to make games happen and have quick portable (and affordable games). I really like the idea, though I can’t say that I’ve played anything that I’ve heard labelled as a microgame (perhaps Coup, which is fantastic). Tom: Heard only good things about Coup. I need to play that. What’s your favorite unpublished game right now? Jeremiah: Two Rooms and Boom, by Tuesday Night Games, you can find it on BoardgameGeek.com. It’s a great light social deduction game and it has an amazing range. You can literally hand out cards to people, send them into different rooms, and get a game moving. Tom: The latest The State of Games – the one about Unpub, talks about that. It sounds pretty cool. What are you currently playing the most? Jeremiah: Coup, Plato 3000, and Zombicide. I love all of these games, though I don’t see Coup getting much more play, as I prefer the earlier Hoax, with very much the same feeling. Tom: What game surprised you and how? Jeremiah: Connect 4 Launchers. Yes, it’s a mass-market dexterity game with enough crazy chaos of catapulting plastic rings into a tray to make me way-too-loud when the kids are sleeping. Tom: What is next for you? What else is in the queue? Jeremiah: Oh, I always have a few things that I’m working on. Right now I’m just focusing on the Kickstarter campaign. After that, I think I’m going to put my head down and focus on a postapocalyptic evolving story game. It’s very much a mix of rpg and boardgame. An idea I’ve been stewing for a good year or so. Tom: Lastly from me. 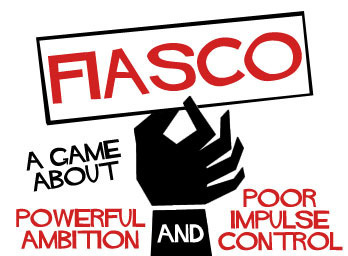 I see from BGG that you are a Fiasco fan. Talk about what a fantastic game it is. Jeremiah: Fiasco is a crazy game, I didn’t even know things like this existed until very recently. Fiasco gives me a space to “act” again (I was involved in theater in college, and I miss it. Plus, Fiasco can get wacky, and I love wacky. I love silly humor, silly friends, and putting those things together to make great stories. You have to find a group of 3-5 friends that actually want to play this kind of free-form role playing game. Without people who have a desire to play, this game won’t be fun. Tom: I love Fiasco. It’s one of the nearly perfect rpg’s. Did you know I wrote 2 of the published playsets – Reconstruction and News Channel Six? Jason lives in Durham and is an acquaintance of mine. Really great guy. Here’s an interesting game design thought that I’ve had – Are there any aspects of rpg’s, the indie variety especially, that could be ported to board or card games? I have a couple of ideas. Jeremiah: I always enjoy talking about the workings of my 1993 Ford Probe GT’s engine. Perhaps that’s best saved for another blog? 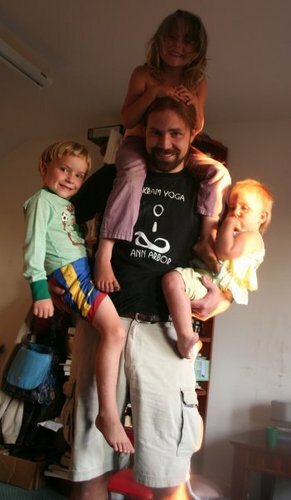 I’m also happy to talk about unschooling, and living as a full time dad to kids that don’t go off to school every day. Tom: I actually know what unschooling is. We homeschool too. And have a very unschooling attitude with it most of the time. Drives the in-laws crazy but my oldest (19yr.old) is at UNC-CH on a scholarship with a 3.3 gpa, an internship, is a photographer for the school paper, and is just pretty awesome. My 14-year-old is becoming a master equestrian, cook, and just a fantastic girl. My 11yr. old is designing games like crazy and he is becoming a pretty good archer. My wife is super fantastic for devoting herself to our kids. I commend you for doing the same. They will do so when they grow up too. How can people contact you? Are there any links you would like folks to visit? Jeremiah: Thanks, I appreciate your time, and I hope to talk to you again sometime after the successful end of the Zombie House Blitz campaign. It was really cool talking to Jeremiah. He seems to be on track to being one of the hot, new game designers. I’m looking forward to seeing what he has next. As of today, the Kickstarter campaign has 4 days to go. Head over here to check it out. Thanks for joining me at Go Forth And Game for this interview. I hope you enjoyed it and that you learned some things. How about leaving a comment?